Beat-heavy instrumental music from Denmark, with audio clips of old movies. I had a low expectation on this one, but it’s alright. There’s a hilarious clip of Bela Lugosi from Glen or Glenda ranting about a big green dragon. Nice. Not sure why this album was cobbled from a ten-year career, it sounds pretty modest. It starts off really good with a monster-in-the-woods narration, and an exciting beat drops. 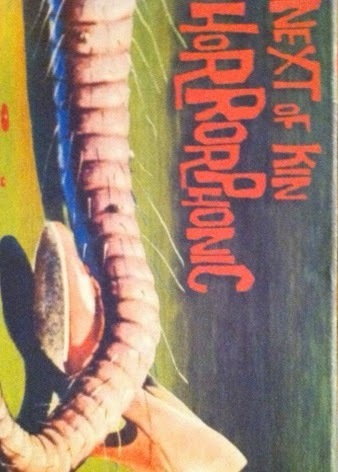 I thought, “oh cool, musical theater.” And with a name like “Horrorphonic,” I guess that’s what they’re going for. But that was the best bit, and it mostly comes off as normal-sounding rap production with a few horror movie soundbytes instead of rapping. Pretty straight-forward. Sure!